The holidays are just around the corner, and what better way to celebrate and enjoy this festive time of year than with an Emerald Isle getaway? The town of Emerald Isle and surrounding areas are abundant with holiday spirit and small-town charm providing plenty to do for the entire family during Emerald Isle’s off-season. Browse our extensive list of vacation rentals with off-season specials, available in time for your family to celebrate the holidays.  In the meantime, here are five tips to take into consideration while you plan out your Emerald Isle holiday vacation. 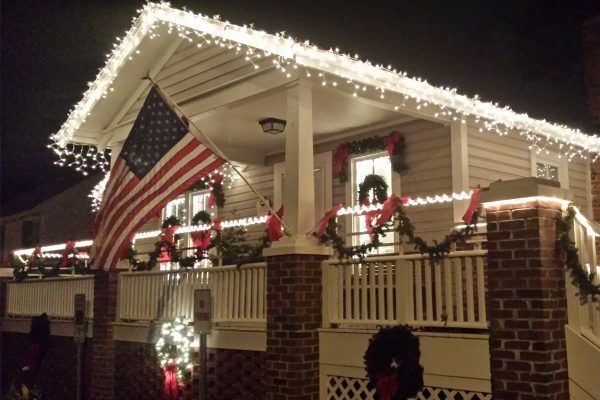 If you’ve ever celebrated the holidays in a small town, you know it’s the best way to go. And where there are small towns, there are small-town festivities. After spending quality time together with the family during a Thanksgiving dinner at your vacation rental, kick off the holiday festivals with the Swansboro Christmas Flotilla on November 23. Cozy up to a mug of hot cocoa and feast your eyes on the White Oak River where boats decorated with Christmas lights will make their way along the waterfront. Rumor has it that Santa himself makes an appearance at this festival. If you’re unable to catch him on the 23rd, make your way to the Emerald Isle Christmas Parade & Tree Lighting on November, 24th for an annual Emerald Isle tradition and festivities the whole family will enjoy! On December 8, Beaufort will host an art walk in the historic district that is planned to be filled with Christmas decorations, crafts and gifts for sale. 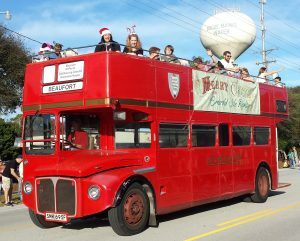 After the art walk, the Christmas Candlelight Home Tour will take place on a double-decker bus that will make its way through town starting at the Beaufort Historic Site. Refreshments will be served, and carolers will provide the perfect Christmas soundtrack on your tour through town. Check out our full list of holiday festivals and start planning which of the festivals you’d like to attend! inexpensive way to decorate and celebrate Christmas traditions, and you can take the tree home with you! Need some unique decorations for your tree? Pack your glue gun and some Christmas ornament hooks and hit the beach to collect some shells for a unique ornament idea. Need some ideas for outdoor Christmas decorations? Instead of opting for stringing lights on your oceanfront cottage, light projectors are a simple way to light up your rental and stay in the festive mood. Don’t forget to pack an extension cord to plug in your light projector! It’s a given that with the holidays comes plenty of cooking and eating. Luckily for you, our vacation rentals come complete with fully-equipped kitchens, providing all of the space and appliances you could ask for! 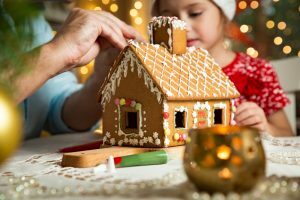 Whether you’re preparing a Thanksgiving feast for the family or decorating Christmas cookies with the kids, the aroma of the holidays will fill your vacation rental to make it feel even more like home. Definitely, take advantage of the simple ways you can bring the holiday spirit with you and your family to Emerald Isle. Take some of the Crystal Coast home with you and give some of it away as gifts for the special ones in your life by visiting the unique and eclectic shops in the area. In many smaller towns like Swansboro and Beaufort, shops are within walking distance from each other in the historic districts. Along Emerald Drive in Emerald Isle there are plenty of shops that range from home furnishings, fine jewelry to apparel. Some of the shops on our list include various family-owned antique shops, sporting goods stores and JR Dunn Jewelers, which has everything from diamonds to pearls. 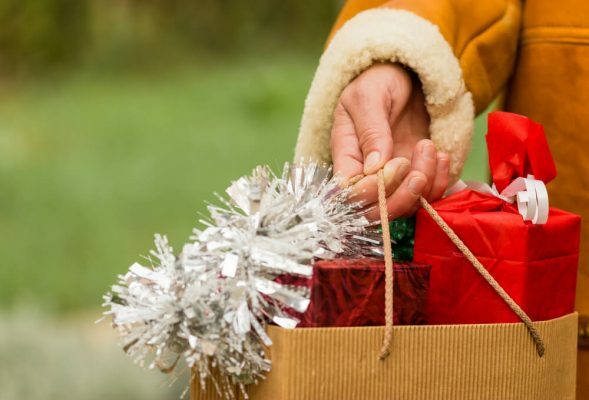 With a variety of shopping opportunities in Emerald Isle and surrounding towns, there will be no problem finding the perfect gift for even the trickiest family member! With the fall and winter months in full swing, the beach doesn’t have as many beachgoers making it prime time for fishing from the shore. And remember: redfish are available year-round in shallow waters. Fort Macon State Park is a great spot to fish during the winter months with striped bass and speckled trout flourishing. Want to get more in-depth fishing experience for the holidays? There are many charters that are still operating during the off-season that know first-hand where the hot-spots are to fish in during the cooler months. Check out our list of fishing charters to see what their availability is during the holiday season. There’s plenty of things to do and see during a holiday vacation to the Crystal Coast but more important than that is creating long-lasting memories with the ones you love most. Our quaint coastal town paints the perfect backdrop for reconnecting and taking a well-deserved break from everyday life and provides a place for family traditions to blossom. Hopefully, your holiday getaway to Emerald Isle will become a tradition that you and your family can partake in for years to come. One of our favorite family traditions is to swap the post-meal Thanksgiving football game and turkey nap for a family walk on the beach. Many of our rental properties are within walking distance of the water and there are endless options for taking a stroll, whether it be for the length of the football game or just long enough to make it back in time to catch the second half and that nap. Another tradition you and your family can start while on your vacation is creating holiday crafts with a Crystal Coast twist. Painting shells in holiday colors and designs is a simple craft that kids and adults of all ages can do with shells a plenty on the beaches. You can take your special ornaments back home with you every year and have a lifetime of stories of finding the perfect shells every year to share with future generations. One more tradition to start to celebrate the holidays and enjoy the cooler weather is a hot cocoa and s’mores night! Whether it’s in the fire pit at your rental property or simply around the stove, it only takes a few moments to gather up some cocoa, marshmallows, graham crackers, and chocolate bars and enjoy this nostalgic snack. You’ll re-live your childhood family vacations and give your family new memories to look back on for years to come. Make it extra special by having everyone go around and sharing their favorite memory from your trip or what they’re most thankful for this year. This holiday season, give yourself a gift and choose Emerald Isle for your family vacation or holiday getaway. From holiday festivals to small town shopping to winter chartered fishing trips, there’s something for everyone to enjoy while you visit the Crystal Coast. So, get ahead of the holidays and book the perfect rental for your getaway!